As long as I can remember, I've had a vision of spending my days not working for money, but working to live. I dream of using my time and energy to grow our family's food and to maintain our shelter. I think it would be very satisfying to be so connected to our quality of lives. I think it is safe to say that in this day and age, most of our population works a job in exchange for money. We use this money to purchase our homes, our food, our vehicles, our haircuts, education, clothing, entertainment, and household products. Skills that were common in our society a century ago are rare today. Our grandmothers knew how to make soap, bake bread, sew, butcher chickens, milk a cow, preserve food and so on and so forth. Today, these skills are considered "hobbies". I realize that these skills have become hobbies simply because most of us are too busy. We work hard at our jobs for 8 to 10 hours a day, then rush home to feed our families, help with homework, transport the kids to their extra-curricular activities, clean the house, wash laundry, and if we are lucky, find a little relaxation time. I've taken steps over the past few years to pull out of the "norm" and step away from the expectations that I feel are imposed on me by society. I was able to cut the expense of daycare out of our budget and stay home with my children by starting my own in-home licensed childcare business. We grow a large organic vegetable garden and preserve our harvest by canning, dehydrating and freezing. We did raise chickens but decided it didn't make financial sense as we were limited to only 12 hens since we are in city limits. The cost of the feed plus the reality that our hens would not be able to produce new chicks without a rooster made our keeping chickens for eggs a mere hobby. I love to make soap but without a pig to slaughter, the lard used in the recipe becomes an additional purchase instead of a valuable by-product. Unfortunately, our city zoning doesn't allow us to have farm animals such as goats, pigs or cattle on our city lot. Still, I want to get out and away from the sounds of cars rushing by, the bright lights, and especially the city regulations. So, this year my husband and I have been earnestly looking for that perfect piece of land that will allow us to go from wannabes to the real deal. To truly live that dream, we will need to be as debt-free as possible so that we are not tied to a job. We realize that this may take some more time. Our goal is to find a piece of land with some trees and tillable land within one year's time. We pray that it will be reasonably priced and that if it doesn't have shelter on it, we can find a mobile home to purchase cheaply for a temporary shelter. This desire is in my mind every moment of every day. I am very much looking forward to the moment that we sign the dotted line on our new property and take that exciting step toward having our very own homestead. In the meantime, I'm learning everything that I can about living self sufficiently. It is a truly exciting journey! Oh, it sounds like you are very much on your way to finding your own farm property! We were in a similar situation just two years ago, and it still seems surreal to have the land we do, albeit only a couple acres. Sometimes I think it's a bit of hope, a bit of luck, a bit of hard work, and a bit of "ask and you shall receive"! I wish very much that you're able to live your dream. P.S. I love your old family photos--what a treasure! Thanks so much for the encouragement! I just know we'll make it happen! Your blog is an inspiration to me as well! 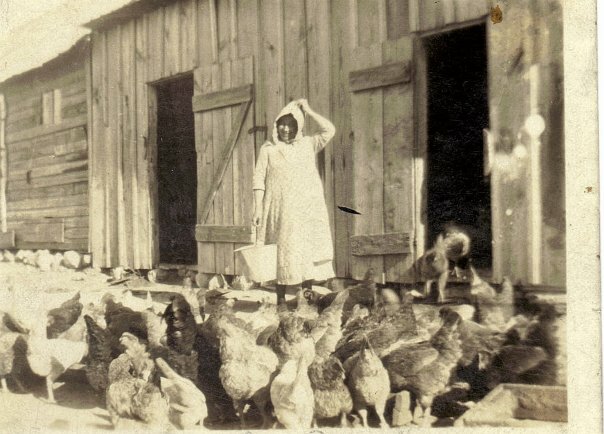 PS - I meant to say also - lovely pics especially of your grandma with her chickens. Sometimes these connections to the land are rooted deep within us. Thank you Happy Hippy! I genuinely appreciate your encouragement! Yes, the picture of my grandmothers mean so much to me. I think of them often with love and admiration. My grandmothers truly inspire me. Have a wonderful day! Great post. I think it speaks to the heart of many of us. Well said. Thanks, Leigh! It's an honor to have you here, your blog is very meaningful to many of us! I could have typed this post myself. It is as if you were inside of my head with every word I read. 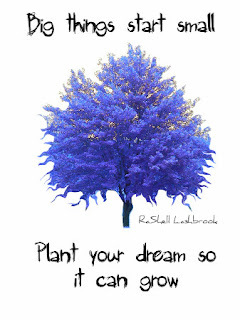 I want so badly to buy a piece of land and live on what I can grow, raise, and create. I wish all the best in your endeavors. It's so nice to meet another kindred spirit! I wish you the best of luck too!